Welcome to Lemon Week at Red Couch Recipes. 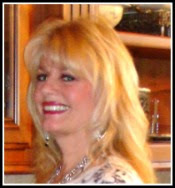 Today I am Joining La at A Musing Potpourri for her Ice Cream Social. I am excited to break out my ice cream machine and try some of the rest of the ice cream recipes and thanks for hosting La. This recipe for gelato is tangy deliciousness enrobed in creamy splendor; it brought the taste of Italy right to my kitchen. I hope you will try it and it will transport you to Italy as you are tasting it. I have loved my other entries for Lemon Week, but this one is my favorite. 1/4 cup lime juice -- I used Key Limes; Persian Limes are fine too. In a small heavy saucepan, heat milk to 175°; stir in sugar until dissolved. Whisk a small amount of hot mixture into egg yolks. Return egg mixture to the pan, whisking constantly. Add lemon peel. Cook and stir over low heat until mixture reaches at least 160° and coats the back of a metal spoon. Fill cylinder of ice cream freezer with lemon lime sorbet mix; freeze according to manufacturer's instructions. At this point, depending on your ice cream freezer you can either enjoy right away refreeze it to achieve more firmness. If you choose to refreeze, transfer to a freezer container, such as a Pyrex bowl or Tupperware container with lid. ; freeze for 2-4 hours before serving. Yield: 1-1/2 quarts. 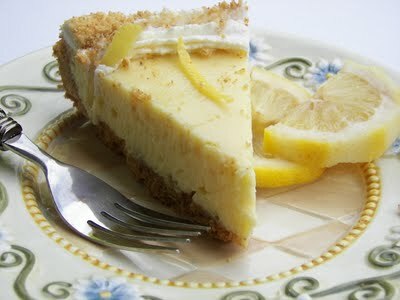 Thanks for stopping by Red Couch Recipes for Lemon Week. Joni, This sounds wonderful and looks great on those pretty plates! When I saw the plates at the Ice Cream Social at La's, I thought this was your post! 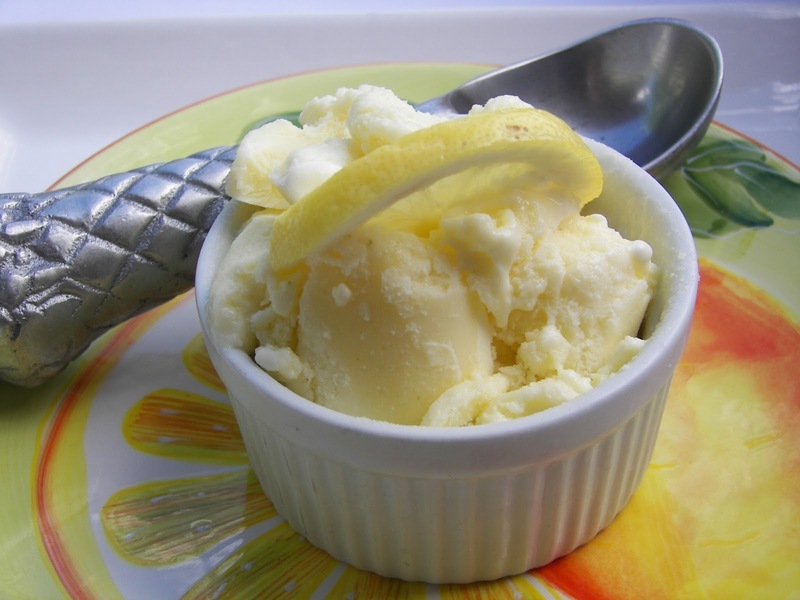 I have made a lemon sorbet recipe in the past that is really good as well. this looks so pretty and delicious. I think I may try it although I have sworn off of to much dairy this summer because it doesn't agree with my tummy. Yummy, This has all my favorite things in it! I do have a question about it though. When you say, "fill cylinder of ice cream freezer full according to directions" what is this? I have a cuisinart ice cream maker and I'm wondering if you are talking about filling that up and freezing it in the cylinder that you make other ice cream in? Please explain. 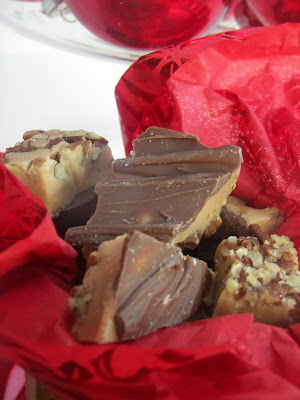 Thank you for this yummy recipe! Wish I had been there for lemon week. It is right up there with raspberries after chocolate. This looks so creamy and wonderful. Thanks so much for joining in on the fun at the ice cream social. I love gelato and this looks amazing. Oh my goodness, my mouth is watering...that sounds so refreshing, Joni. I love lemon when it has that really tart bite to it! This looks luscious! My dad's favorite cake was an old recipe for a white cake with a lemon/pineapple filling between the layers--frosted with sweetened fresh whipped cream. It was called a "refridgerator cake" and it was from the fifties! It was the only lemon dessert we ever had. I love lemon anything! This looks creamy and delicious. I have buy an ice cream maker soon. 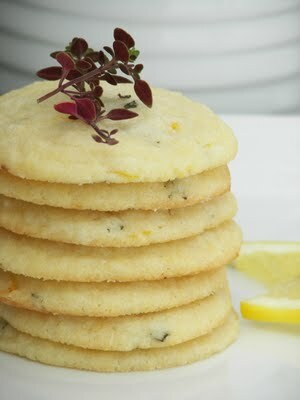 Another wonderful lemon recipe for me to try! Your gelato looks so creamy and delicious, Joni. 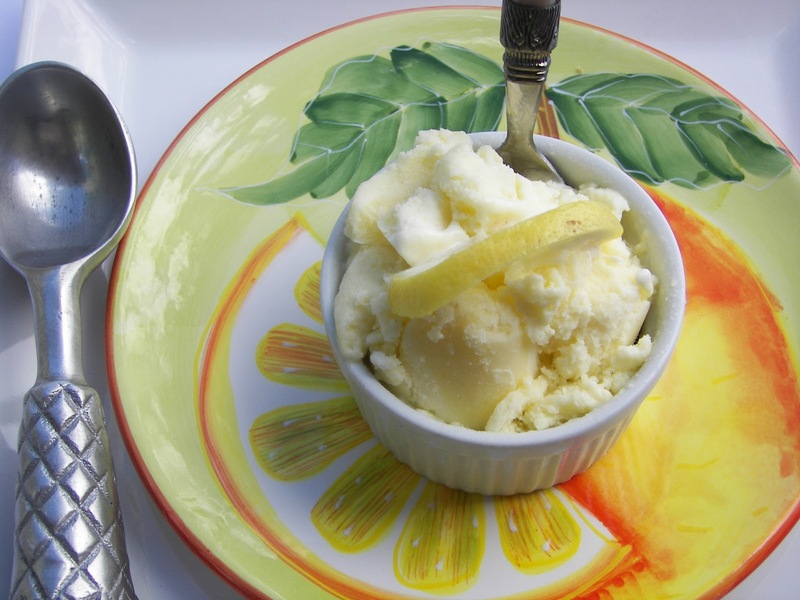 Yum... We've been on an ice cream bender and this looks perfect, along with your other lemon recipes. Keep the lemon goodies coming, Joni. Delicious! Joni, This has my mouth puckering! I love gelato and your lemon/lime version sounds divine! My ice cream canisters are in the freezer getting good and cold. Thanks for this wonderful recipe! I love gelato especially after visiting Italy and having the real stuff. Now I just need an ice cream maker. Thanks for sharing the recipes at WUW. I hope this works! I was here the other night, and I wasn't able to comment. That looks just so good! I also enjoyed reading about your pioneer heritage! Very interesting!